The need to have a formal trusted contact person policy is most pressing for advisors who have many aging clients because these individuals would have to sign off on the document while they still have mental capacity. Managing clients’ emotions comes with the job description for financial advisors. But while most advisors are familiar with the challenges of keeping clients’ greed and fear in check, advisors are much less prepared to deal with individuals they suspect aren’t making rational decisions as a result of age-related illnesses such as dementia or some other unknown, underlying factor. Although this challenge has been an issue for the financial services industry for some time, it’s cropping up increasingly now – especially as the core of many advisors’ businesses are comprised of seniors, who now largely outnumber children in Canada. That’s one reason why, when the Ontario Securities Commission (OSC) released its “Seniors Strategy” last year, the provincial regulator recommended that the financial services industry adopt a concept known as the “trusted contact person,” which became regulation in the United States last year. The trusted contact person is an individual designated by a client whom advisors can call upon if they suspect something is amiss with the client. However, the individual cannot be cited as the attorney in a power of attorney (POA) document. Ellen Bessner, partner at Babin Bessner Spry LLP in Toronto was among the experts who consulted with the OSC on the Seniors Strategy and has long recommended that the industry adopt a trusted contact person policy. “Through the years of working with advisors, it became obvious to me that this issue with seniors was becoming bigger,” says Ms. Bessner, a lawyer who represents advisors and investment dealers in cases in which they become concerned that clients with diminished capacity may become victims of financial abuse and other related issues. Currently, Canada’s privacy laws are unclear regarding whom advisors and their investment dealers can contact legally when they are worried about clients. Advisors and dealers would welcome the introduction of a trusted contact person policy, Ms. Bessner suggests, but regulators have yet to come out with any official guidelines. She adds that several dealers are now “muddling through” developing a seniors policy, which might include this mechanism. Although Ms. Bessner is helping several firms draft protocols, she says the exercise is “tough because we don’t know specifically what the OSC,” or the self-regulatory organizations such as the Investment Industry Regulatory Organization of Canada and the Mutual Fund Dealers Association of Canada will decide upon. Although the OSC released its Seniors Strategy last March, the regulator has not yet indicated whether the trusted contact person will become a firm industry-wide regulation. Adding to the thorniness is that each province has its own regulatory body. “We certainly see the benefits of the concept in Manitoba and across Canada,” says Chris Besko, director and general counsel at the Manitoba Securities Commission. However, he adds that an official framework is still a work in progress and needs to be formalized in conjunction with other regulators to be effective. Robert Tétrault, portfolio manager and head of the Tétrault Wealth Advisory Group at Canaccord Genuity Wealth Management in Winnipeg, says advisors would welcome the formal introduction of a trusted contact person policy. “It’s a fantastic idea because, as part of our approach to wealth management, we encourage clients to have up-to-date estate documentation, which includes a power of attorney,” he says. However, current estate planning measures have gaps in protecting individuals and their finances, particularly when it comes to early signs of diminished capacity, Mr. Tétrault adds. One reason is these issues can crop up before the PoA is activated. Ms. Bessner says advisors’ best course of action in these situations right now is to contact their dealers’ compliance and legal departments to obtain guidance on the appropriate steps they need to take. Even when the PoA has been activated, a trusted contact person would still be helpful if an advisor suspects the attorney is not acting in a client’s best interest. “It’s a check and balance type thing,” she says. However, a trusted contact person would not supersede the attorney, nor would the trusted contact person make financial decisions for the client. But, at least, an advisor can ask the contact to check in on the client. Even then, should the contact confirm something is awry, the advisor still must notify the dealer to seek guidance. The dealer’s senior management would then take direction from legal and compliance on whether to freeze the account and demand a court order before releasing funds, Ms. Bessner says. “But at the moment there is no legislation or protection right to direct the dealer that gives it what we call a ‘safe harbour’,” she says. Of course, the investment industry and regulators recognize this problem and the need for a formal framework. What’s more is the trusted contact person would not just benefit seniors. It would be helpful for clients of any age. “You could get in a terrible accident, and your advisor might not be able to contact you,” she says. 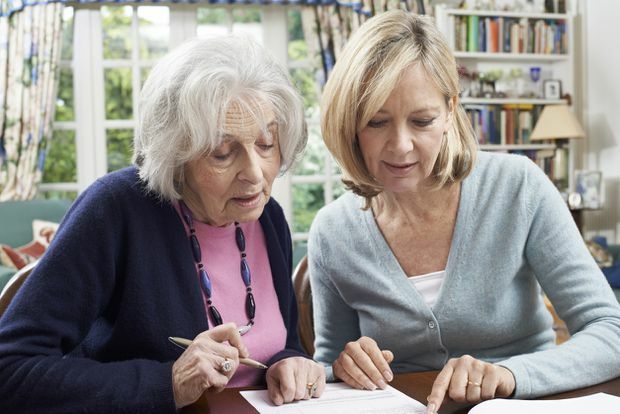 But the need to come up with a formal policy is most pressing for many advisors who have many aging clients because these individuals would have to sign off on the document while they still have mental capacity, Ms. Bessner adds.